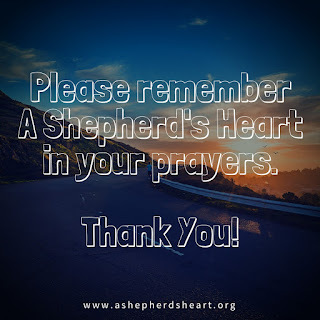 A Shepherd's Heart: A New Year and a Request for Ongoing Prayers for A Shepherd's Heart. 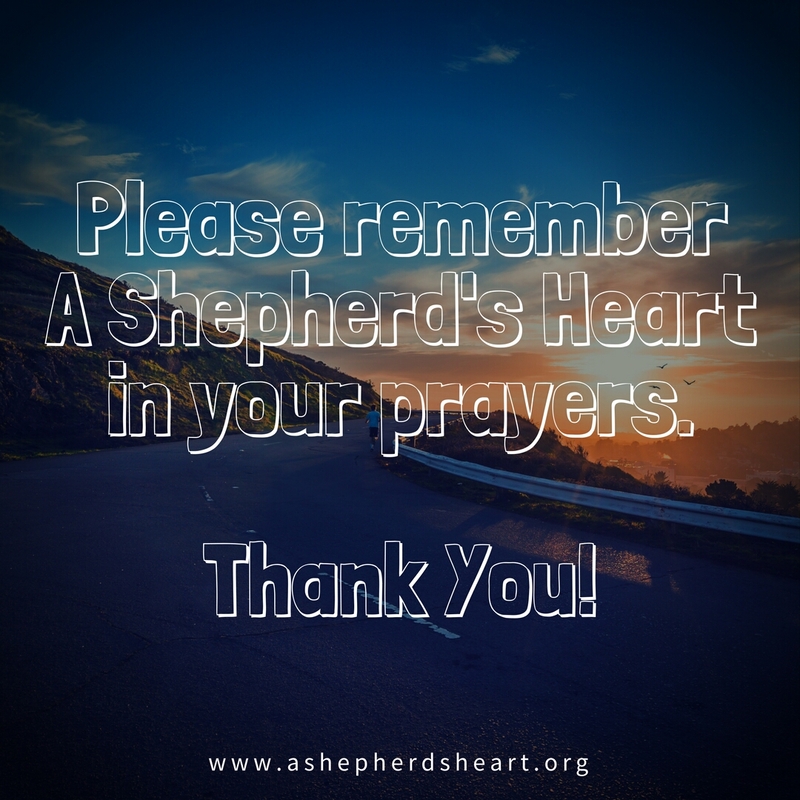 A New Year and a Request for Ongoing Prayers for A Shepherd's Heart. As the New Year begins, I want to simply ask you to keep A Shepherd's Heart in your prayers. Specifically prayer for God's wisdom, direction and provision for A Shepherd's Heart as I seek to continue to serve The Lord and His people seeking to encourage all of us to Live Life On Purpose...grounded and routed in Christ! I want to focus on the projects, resources, teaching / speaking opportunities as well as any other opportunities He provides and directs me to do in serving Him from the heart He's given me. I've been a "tent-maker" for years and I'm constantly seeking The Lord for the continued direction He wants me to go and I know He'll provide the clarity needed as He directs my path. Please pray that God will help me be very strategic with my time as working high demand positions in the marketplace as well as every other important priority God's given me including a family and friends I've been blessed with, a home to maintain, etc., time is always at a premium. All of these areas are important and I need to be present in the lives of my family especially and my friends too and with this...again, need to be better at time management. May God provide the availability and means to serve in each case He opens and directs me to serve including the tools, technology, time and financial resources. May God help me grow more as a shepherd-servant, communicator, husband, dad, friend and employee. May God somehow expand this ministry including it's reach - for His kingdom and glory. May God help me grow the needed income to meet every need for my family, ministry which includes helping others. There are many growing needs including practical every day needs where my income isn't keeping up and I want and need to provide better. With this, please pray that God will open up a new good fitting and providing position that also provides enough flexibility to serve or possibly something entrepreneurial that will do the same. Thanks for your prayers and please know that I'm praying for you! Please don't hesitate to let me know how I can be praying for you! I'll keep you posted on new projects and items I'm working on this year some of which includes...I hope, new encouragement / teaching videos and finally publishing my first 30 day devotional. I'm here to serve you so, feel free to share your thoughts on resources and topics you might be encouraged by and I'll definitely take your suggestions into consideration for future projects! Thanks again for your regular prayers!